VERIZON ASKS A DEAD GUY IF HE CAN HEAR THEM NOW? “Malus domestica” is your first step towards business success! You start a company offering a subscription service – let’s say in the emerging field of door-to-door fruit delivery. Being the business-savvy pomologist you are, you lock all your clients into a two year contract, then sit back and reap the fruits of your labor (so to speak). Unfortunately one of your valued subscribers passes away, and his daughter – allergic to all things Hesperidia – tries to cancel the account. She explains the circumstances of his passing, and even sends in a copy of the death certificate for good measure. What do you do? Cancel the account, right? Well, you, the friendly fruit peddler, might. But that’s not what one major cell phone provider did in exactly this (non-hypothetical) situation. Let’s break down where they went wrong. Lacy sent the phone company a death certificate, showing her father, Bill Young of Calvin, W.Va., died in June. But not until repeated phone calls and a complaint to the media did Verizon finally cut it off — last week. First big mistake: Don’t make your customers work. It should never be incumbent upon a patron to follow up. Once you know the problem, you should be fixing the problem, and keeping in contact about it. It seems Lacy did not have her father’s PIN (personal identification number) to access the account. So the representative refused to help her. Real zombies. Not this guy. Be flexible. Yeah, you have corporate policies. So, too, does every company in the era of plausible deniability and suing the internet. But try to be understanding in cases of death, unless you want to be first on the chopping block during the zombie uprising. Here’s where Donald Trump asks if the death certificate was long form (Wait, don’t leave! This happened in 2010, so it deserves at least one three year old joke!). Seriously, though, is there anything more legitimate than a death certificate? Would they have agreed to cancel the account if Lucifer appeared on the back of a winged demon, carrying a flaming document emblazoned with a contractual out clause? With a contract on Young’s house, the family needed to close out the telephone bill for the incoming owners and to settle his estate. The unsettled telephone bill could hold that up. Okay, I think it’s time we organize a protest march. Someone order pitchforks and torches. –and has since been reprimanded and given coaching. All’s well that ends well, right? Not so fast. What are the odds that poor woman decides to use that service ever again? How much other business did the bad publicity cost them? The Donald may be happy about their diligence with the regards to the death certificate, but even he wouldn’t like the lost cash. The moral here (beyond don’t hire idiots who laugh about dead fathers): customer service is the face of your company. Make sure that your employees are well-trained, and that your phone service is as powerful and personalized as possible. Helping your customers feel like people – in the face of minor inconvenience or personal tragedy – will keep them coming back to you. Do you still think you can get away with not having caller ID? Well, you can’t. Knowing who’s calling is essential to making your customer service as effective as possible. In fact, now you can greet your customer by name every time they call. And while hiring Miss Cleo to do it may seem like the most practical solution, you don’t need ESP, voodoo, or even an elaborate version of “The Name Game” to make it happen. All you need is RingByName. RingByName is a cloud-based phone service with limitless possibilities. It greets your contacts by name, it allows you to group your callers, it remembers the last associate your customer talked to (though unfortunately it does not slice, dice, or make julienne fries). If you really want to know your customers, sans mystical seer, there’s only one solution. Everyone knows communication is the key to a successful business. What they don’t know is how to communicate effectively. We pulled together 3 tips to help you improve your current communication practices. With RingByName, you get unlimited calling through US and Canada, and for an additional fee, unlimited world wide calling to 69 countries and detailed call logs show how long customers were on the line, who they spoke with, where they were transferred, and what number they called from. Learn more about their low calling rates and call logs. Think your current setup is working just fine? That there’s no need to upgrade your phone/computer/printing press/horse and buggy? Alexander Graham Bell agrees! It’s time for modern day companies to move past the industrial revolution. Yes, everyone loved the 1800’s – except the people that lived in them – but these days when your customers call they don’t have the patience to deal with long holding times, bad connections, or any other maladies that might afflict your outdated phone system. RingByName offers seamless integration of the latest technology, unlimited to calls to the US and Canada, and even personalized greetings, completely free of wacky British inventors. Give them a look. You pay good money for your phone service. But what are you really getting in return? With RingByName, you can project the best impression onto your customers with a virtual receptionist that directs customers to the person they need to reach, integration of popular software systems so your business can have all its information in one place, a handy mobile app that works with you on the go and low cost calling for all of your business needs. 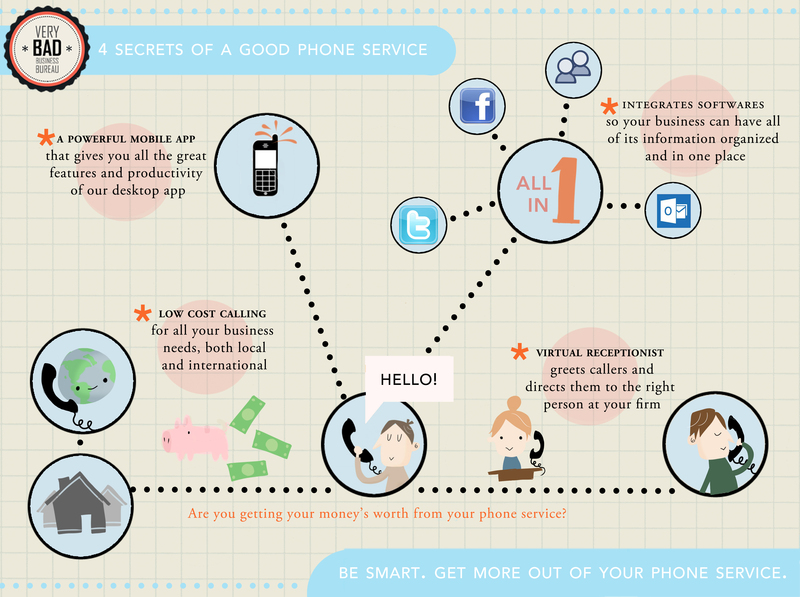 That’s a phone service worthy of your money. Check it out. Wait, go back and read that again sentence again, but imagine this happening simultaneously. Okay, maybe I’m being a little overdramatic, but it actually happened. A devious gentleman from Bangladesh somehow got a hold of my debit card number and went on a $92.67 spending spree that included nebulous Bangladeshi (I’m going to use this word a lot – it’s a great word) computer software and a calling card to Zimbabwe. I’m lucky enough to have caught this pretty early, and so I called my bank to cancel my debit card and contest the charges. Seems simple enough, right? In the words of a boring Carly Simon song, it happens everyday. But here’s where things get extra annoying (that’s right, more annoying than the Bangladeshi guy). I call the general customer service number for my bank. I get a computer voice offering me 30 different options. I choose one. I got more options. I choose another. More options. I don’t seem anywhere close to getting to a person on the phone that can actually cancel my card. I go online to the bank website, and see a number for “Lost/Stolen” debit cards (digression: doesn’t “Lost/Stolen” sound like the name of a Liam Neeson movie?). This makes sense – I was just calling the wrong number. Surely this will take me straight to a person who will help me stop the Bangladeshi thief. I call the “Lost/Stolen” number. I get a computer voice offering me 30 different options. I choose one. I got more options. I choose another. I’m back to the original menu from the first phone number! And I’m frustrated. Luckily, none of this is urgent. But I’m experienced with these sorts of things. I know the 1-800 number cheat code (note: it’s not Up, Up, Down, Down, Left, Right, Left, Right, B, A, Start). Usually on these menus, if you press zero you’re taken directly to an operator. But not my bank. Oh, no. At my bank, you go back to the BEGINNING OF THE CALL. It is at this point in the process that I’m prepared to let the bandit from Bangladesh have my account. If he wants to deal with the bank, more power to him. In fact, he can have the rest of my identity, too. I’ll move to Bangladesh. 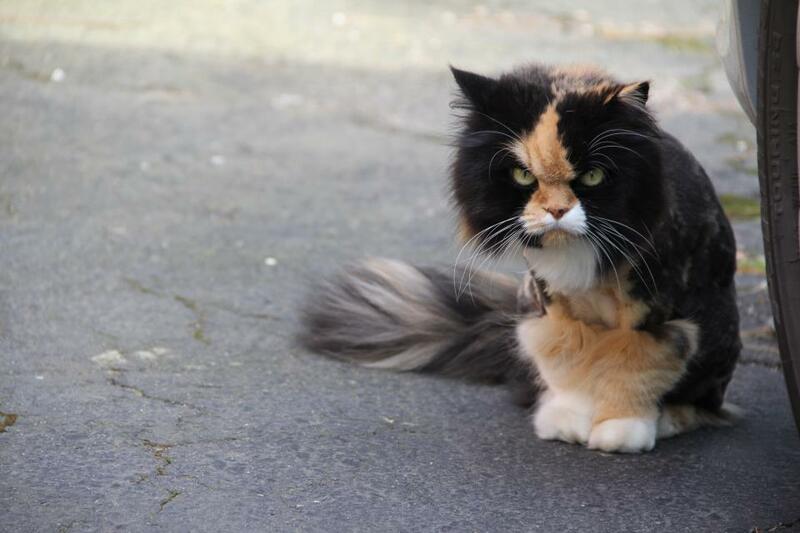 This angry cat also gets me. Instead, I give it one more go. After pressing numerous ones and twos, yeses and noes, I reach an operator. And while she’s friendly enough, I have to repeat to her all the information I already entered. Let me repeat that, for emphasis. I had to repeat to the human all the information that the computer in front of her should have shown her. Is this real? How is this happening? He could be ordering more Zimbabwean phone cards RIGHT NOW! Well, first of all, it all worked out. My bank account is Bangladeshi-free for the time being. Secondly, there has to be a better way. In fact, there’s definitely a better way. This is where I mention RingByName, which would easily fix everything that my bank screwed up – intuitive menus, a computer system with my info already in it, everything – for less money than the phone company. Check them out. Or else I’m moving to Bangladesh. Lesson #2: What Does Upcharge Mean, Anyway? You know that stereotypical used car salesman in the polyester suit, hocking old Hyundais with luxurious upgrades like “air conditioning?” Well, these days it seems like he works for the phone companies. We’ve all been roped in by special phone offers – bundles, low installation fees, and the like. In the end, it always seems like you’re dealing with the guy on the used car lot, decked in plaid and sporting a bad comb over. You pay more than you wanted for things that should be included. Fortunately, RingByName is here, and actually includes those things that should be included – free IP phones, a virtual receptionist, a handy mobile app. Head on over to get a quote, completely comb over free.